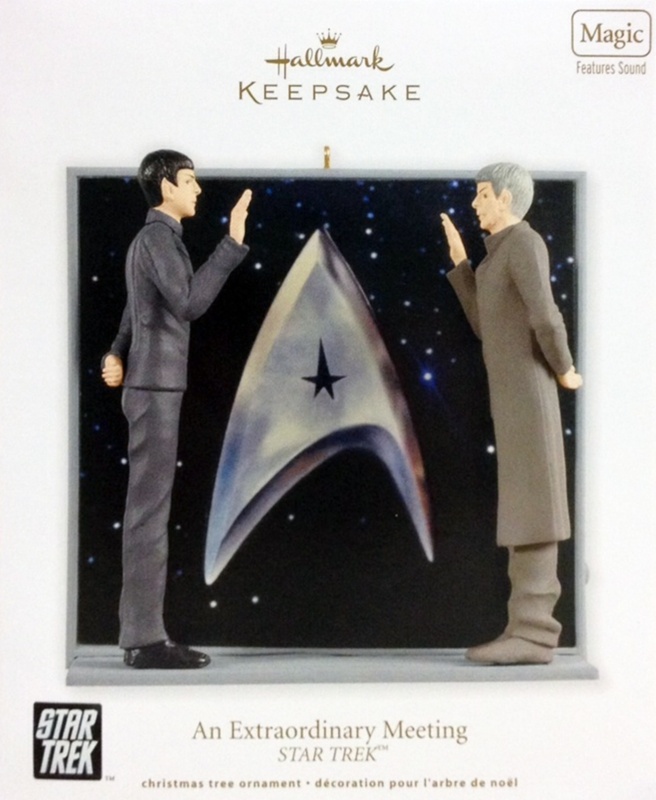 This 2013 EVENT Hallmark ornament was made from the same mold as the U.S.S. 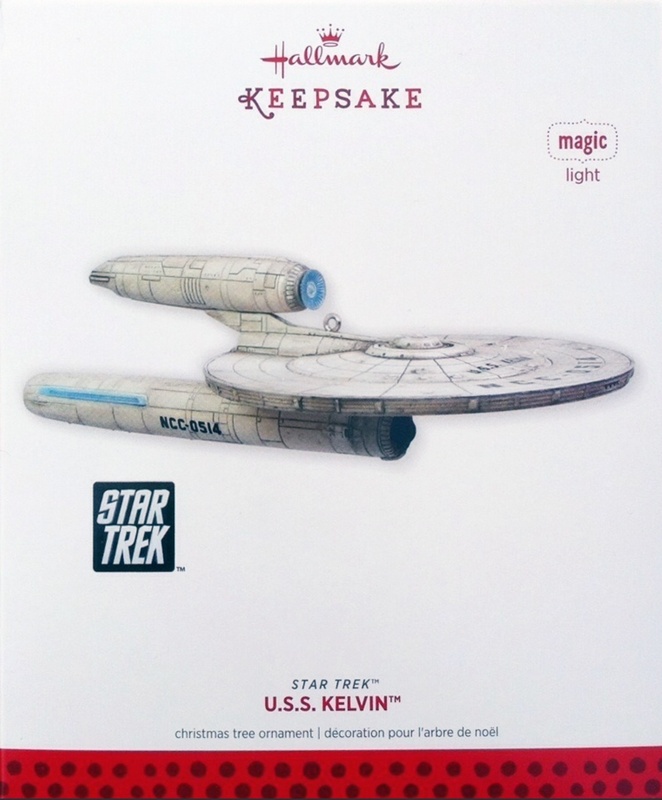 Kelvin ornament that was offered in Hallmark Gold Crown stores during the 2013 ornament season. 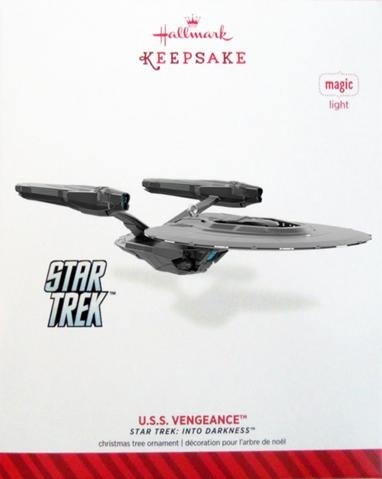 This 2013 Comic-Con exclusive U.S.S. 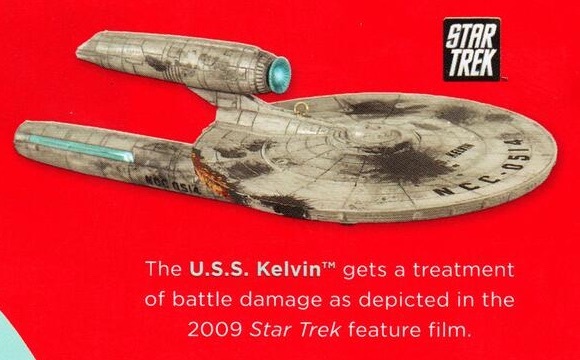 Kelvin features a heavily battle damaged U.S.S. 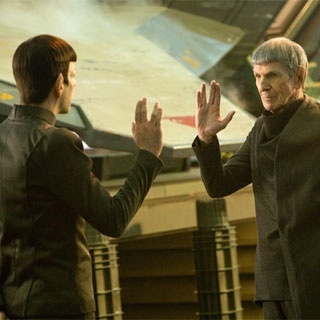 Kelvin – just like during the battle with Nero and the Romulans that were from the future in the J.J. Abrams feature film, Star Trek. 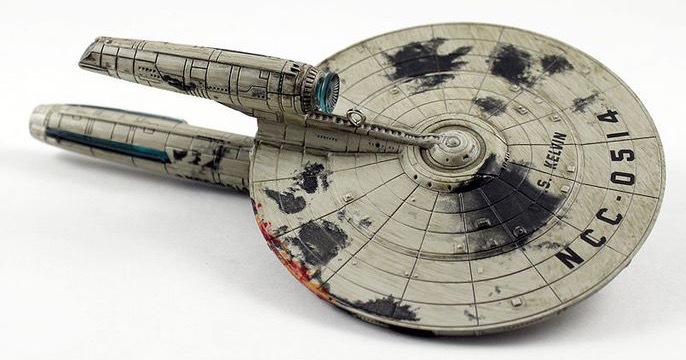 This is the ship that George Kirk, father of James T. Kirk, sacrificed so that his wife and newly born son could escape from a hopeless battle. 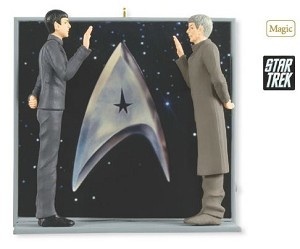 This ornament was originally available for purchase in limited quantities exclusively at the 2013 San Diego Comic Con International (July 18-21, 2013) and New York Comic Con (October 10-13) events. During each Comic-Con, sales were limited to 175 per day, with a grand total production of 1,575. This entry was posted in 068) 2013 Kelvin/Scarred, 2013, Battery, Kelvin, Lynn Norton, Magic Light, Magic Series, Master List, Ornaments by Artist, Ornaments by Era, Ornaments by Pwr Source, Ornaments by Series, Ornaments by Ships, Ornaments by Theme, Ornaments by Year, Ships, Special Event Editions, ST Reboot (Films), Star Trek 2.0 on July 21, 2013 by garfieldandtrump. 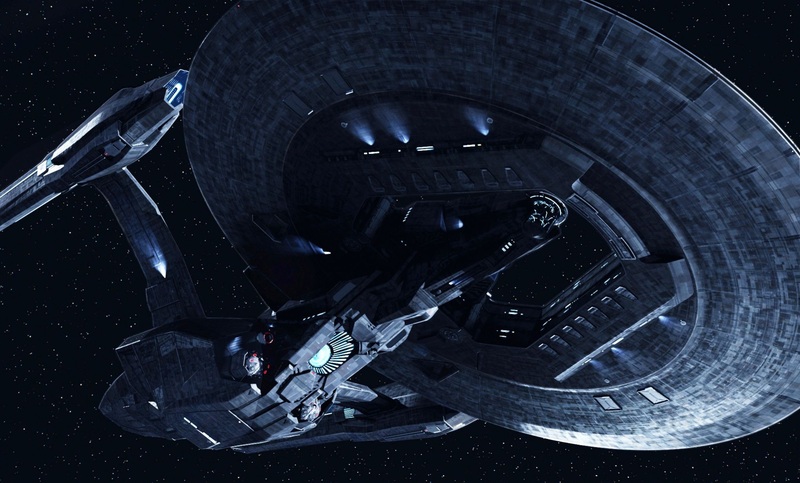 The destruction of the Kelvin provided the emotionally stirring opening scenes of 2009’s Star Trek, introducing a new generation of fans to Gene Roddenberry’s vision of the future. Press the button to see the starship light up. Press the button to see the starship light up. 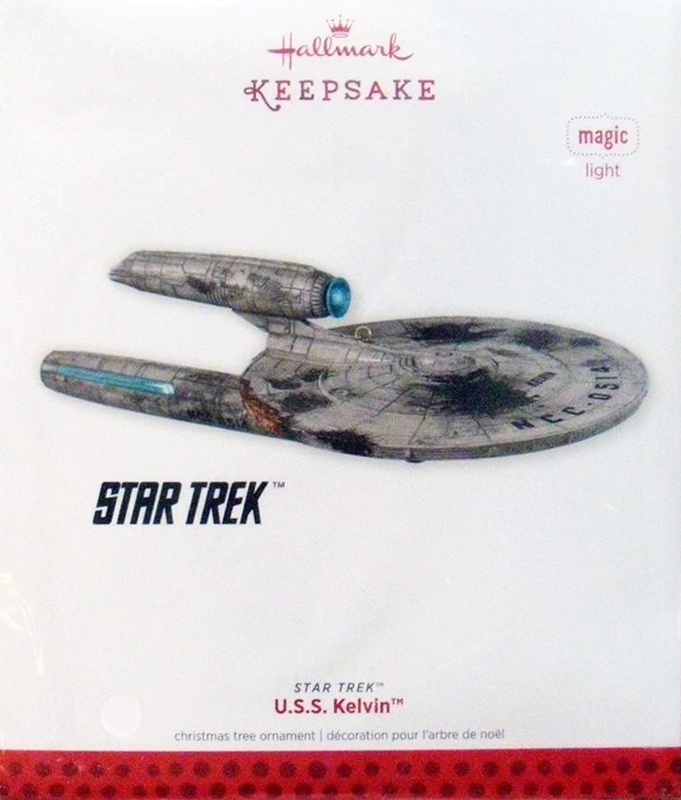 This entry was posted in 066) 2013 Kelvin, 2013, Battery, Kelvin, Lynn Norton, Magic Light, Magic Series, Master List, Ornaments by Artist, Ornaments by Era, Ornaments by Pwr Source, Ornaments by Series, Ornaments by Ships, Ornaments by Theme, Ornaments by Year, Ships, ST Reboot (Films), Star Trek 2.0 on July 21, 2013 by garfieldandtrump. 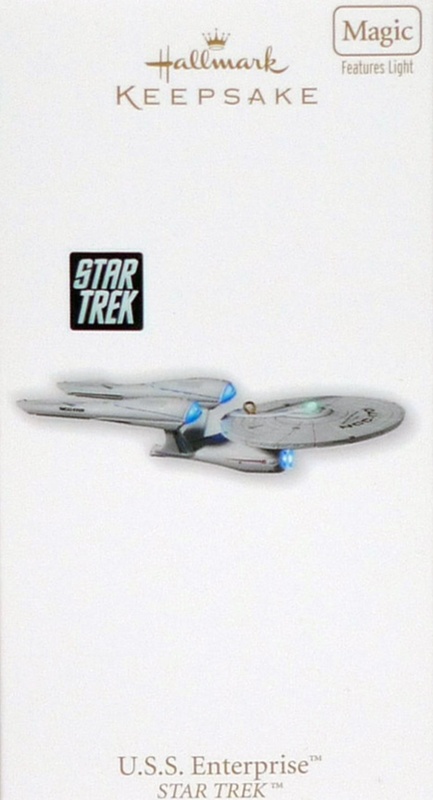 Bot Text: In its maiden voyage in 2009’s Star Trek, the U.S.S. Enterprise responds to a distress call from the planet Vulcan. Arriving to find the rest of the rescue fleet destroyed by Romulans, the Enterprise tries unsuccessfully to save the planet. With Captain Christopher Pike held prisoner by the enemy and First Officer Spock emotionally compromised, the crew soon find themselves under the command of the brash young James T. Kirk, The warp-speed action that follows is a baptism by fire for the Enterprise’s fledgling crew and an exciting Star Trek introduction to a new generation of fans. 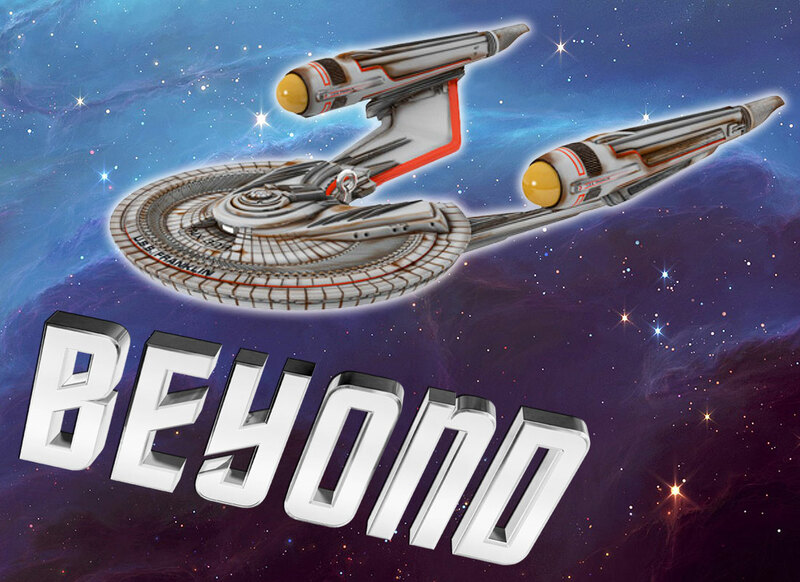 This entry was posted in 057) 2010 Enterprise 2.0, 2010, Battery, Ent. 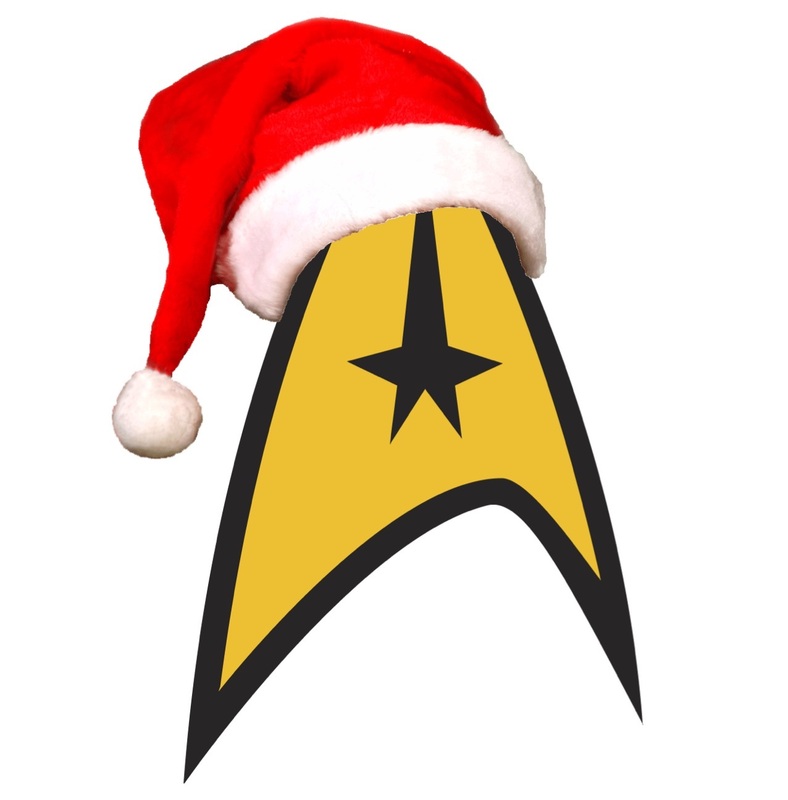 NCC-1701 2.0, Lynn Norton, Magic Light, Master List, Ships, ST Reboot (Films), Star Trek 2.0 on October 24, 2011 by garfieldandtrump.